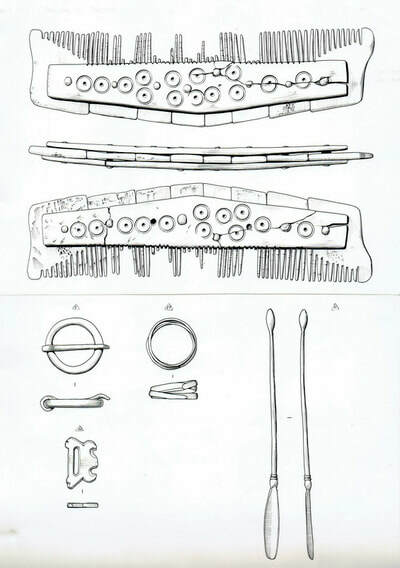 Sue began her career working as a Finds Assistant for the Museum of London, handling the amazing discoveries that were being excavated from various sites around London. She then became an Archaeological Illustrator for the Inspectorate of Ancient Monuments (now English Heritage). 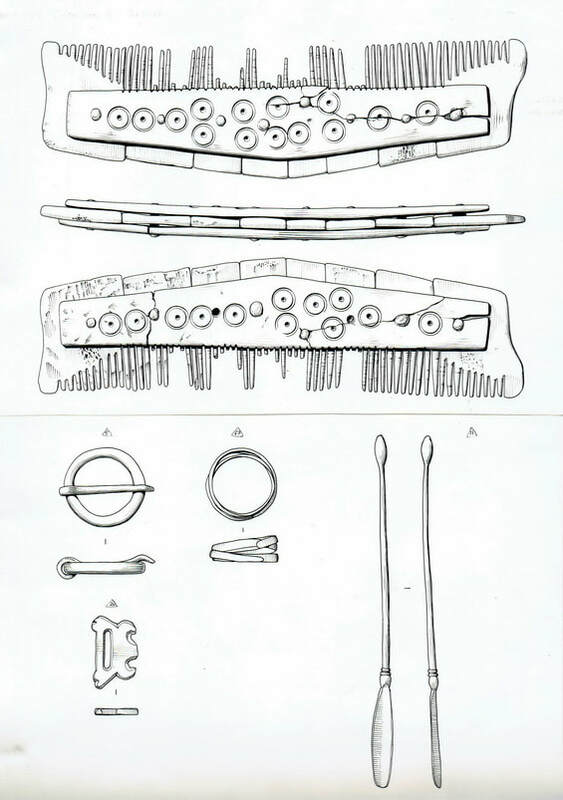 Her versatility and enthusiasm for reconstruction led to her illustrating the finds from many of the most famous archaeological site in Britain including Dover, Grimes Graves, Mucking, West Stow and Portway East. 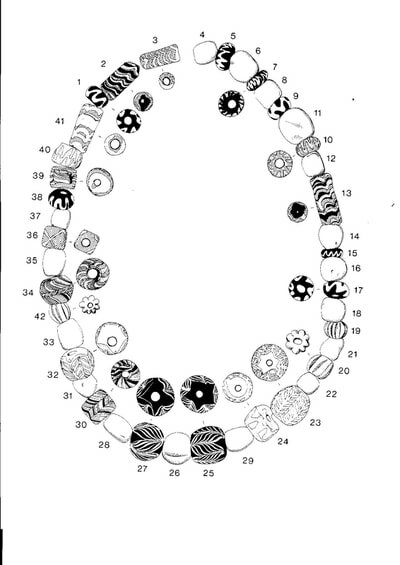 Anglo-Saxon jewellery and beads soon became a passion and she spent many months at the British Museum, drawing the finds from Dover Buckland cemetery for archaeologist Vera Evison. 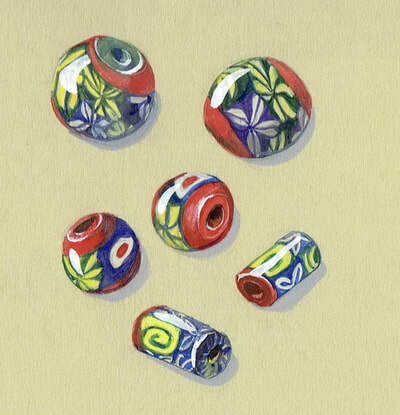 Sue is currently working on a new book on Anglo-Saxon beads, making paintings of the beautiful colourful glass beads as they would have looked when buried. 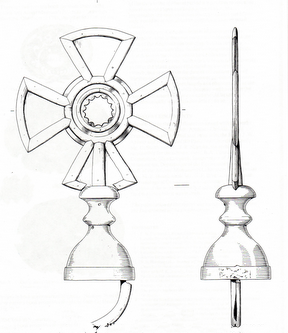 Some of the illustrations are shown below - click on the images for more information. 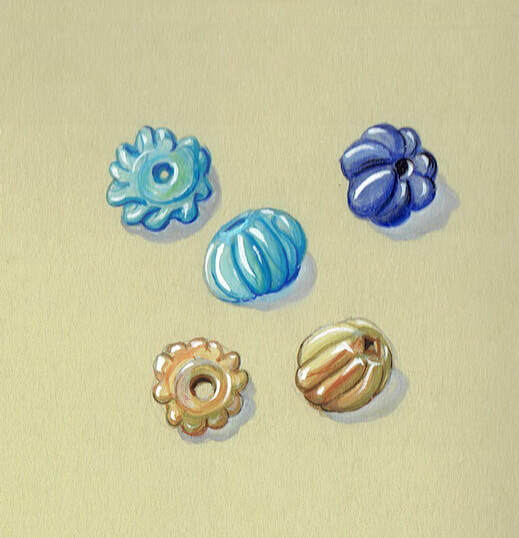 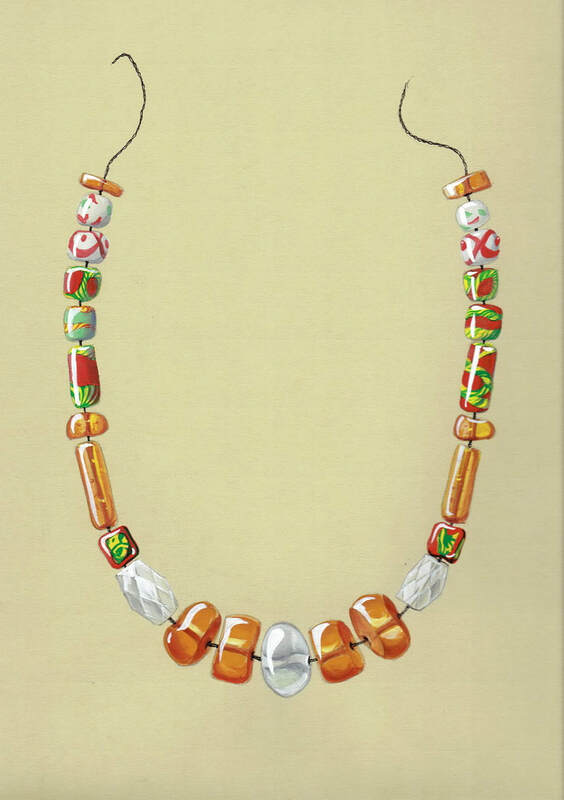 She has also learnt how to make lampwork beads so as to better understand now ancient beads were made.